Do you have a master bath that bores you? There is no need to feel suffocated by blandness each time you perform your daily ablutions. Look into stylish wall sconces and bathroom showers that make you want to sing. A little creativity is all you need to create a pleasing oasis in your own home. A bathroom’s atmosphere is set by its mirror and light fixtures. Instead of the standard rectangle of glass, why not try a cameo- or portrait-framed mirror? Consider flanking it with wall mounted sconces to add stylish appeal. You can always add the option of flickering candlelight by which to take a bath or pamper yourself with a home facial. Wall candle sconces require no rewiring and provide sturdy mounts for your favorite tapers or scented pillars. Best of all, they are so easy to install that you can easily swap them for a new style. Now that you have a posh or sleek new mirror and some varied lighting options, you may be ready to tackle the matter of your shower. Remodeling projects often include bathroom walk-in showers and separate soaking tubs, partly because dividing the two functions not only adds a sense of escape to your bathing experience but keeps your tub cleaner. 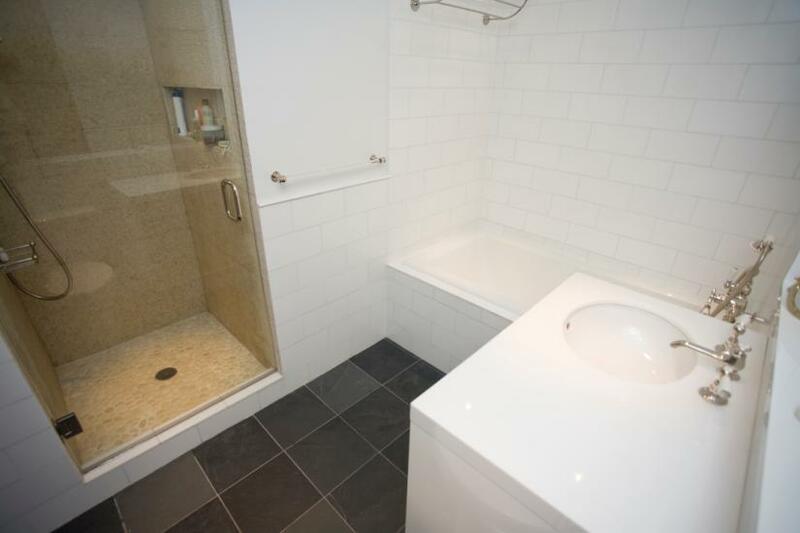 If you don’t have the space for both, consider whether you really need a tub in the master bath. Would changing to a spacious walk-in shower ease your cleaning chores, yet still allow for leisurely soaks in another bathroom in your home? Glass block, or even regular glass, shower walls can make your morning wake-up time a much sunnier experience. Creating a master bathroom with flair is as much about comfort and convenience as it is about design. With a little design savvy, your new bath can give you years of soothing comfort.